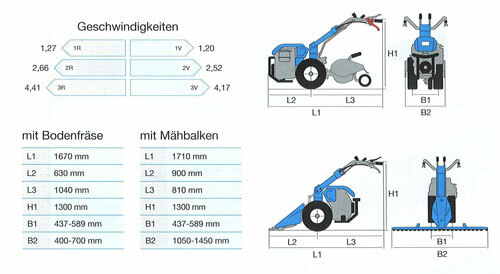 2.905,00 EUR 19 % VAT incl. 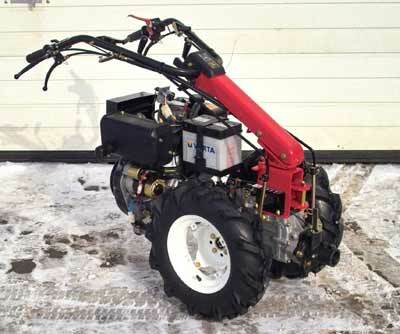 The universal two-wheel-tractor which leaves nothing to be desired - whether for sophisticated private use or commercial gardening and landscaping. The robust construction and the various implements allow it to be a reliable and safe help. 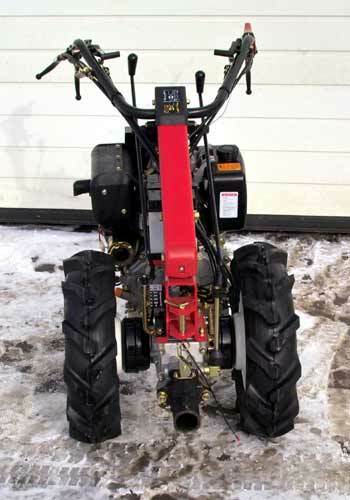 Since 1997, we buy from this company two-wheel-tractors, which we sell retail and wholesale. Thus we know the pros and cons of the units. In which area do you work best with which equipment we can evaluate at best. Gear damage, and serious engine damage never occurred. Typically, a Bowden cable, a spark plug or a air filter get broken. But that"s it! 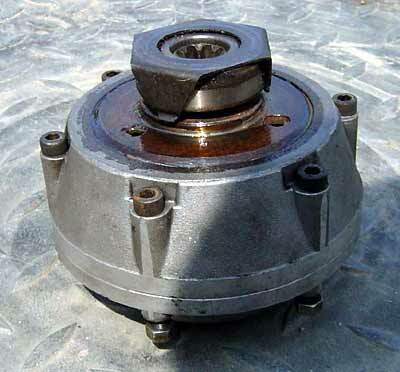 We can deliver spare parts quick and easy. As major advantage we see the compact design of the machine. The engine is flanged directly via a powerful clutch to the gearbox. To the end of the gear unit a large-sized quick release fastener is screwed where all the implements can be changed quickly without tools. 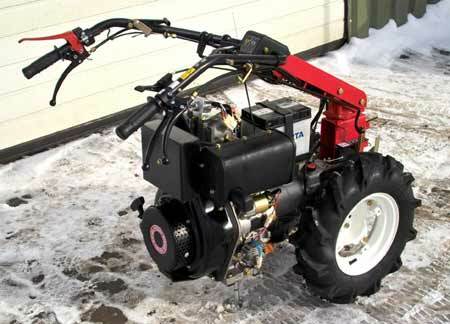 This is an important advantage compared to the Japanese manufacturers of two wheel tractors, they implement the transmission of power through V-belts. Special Features: As an important wear part, the clutch is a reinforced multi-plate clutch disc, fitted as standard from the factory. 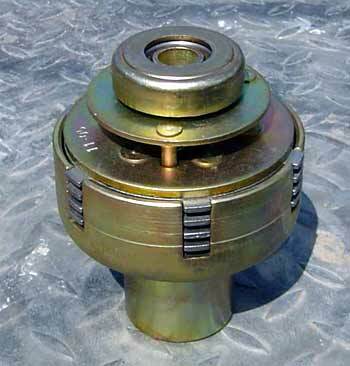 We could have let them install also a cheaper cone clutch, but the service life of these clutches is very limited when the clutches are used with tillers / snowblowers or rotary mowers. 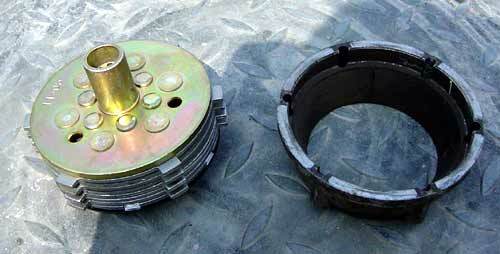 This is the multi-plate clutch with 4 single clutch discs. Here is the comparison between the two clutch inserts - once the small contact surface of the cone clutch (right) and in turn the significantly higher contact surface the multiple disc clutch (left). 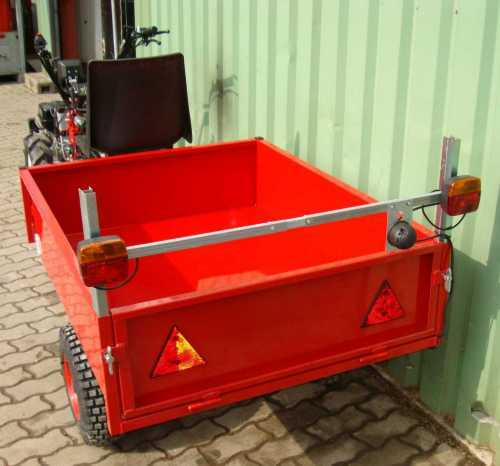 The walkbehind tractor is ready for use and complete assembled, it will be delivered on a disposable pallet. You just need to remove the stretch film, refuel petrol and off you go. We sell only products, which even have been extensively tested and found to be good. 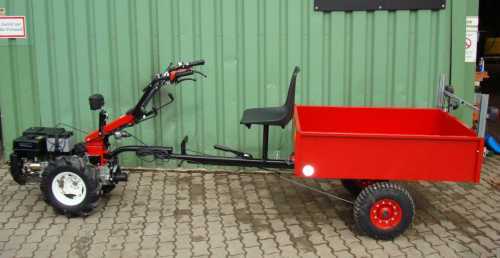 For an additional charge we can supply the walkbehind tractor and trailer equipped road leagal. 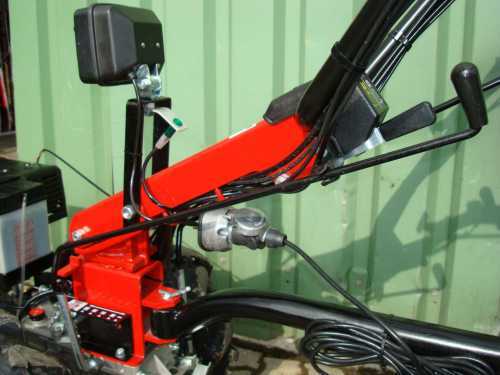 Therefore it is necessary to equip the engine with electric starting and with a battery and a battery holder. 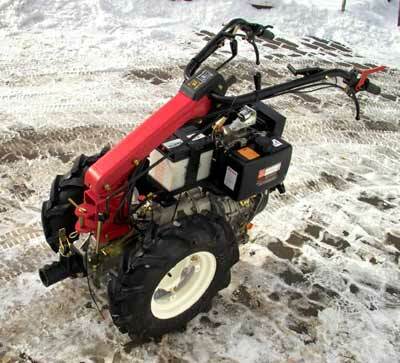 The engine with electric start is standard with a light machine, with which the battery is recharged. Furthermore, a headlight and the entire lighting system is mounted.